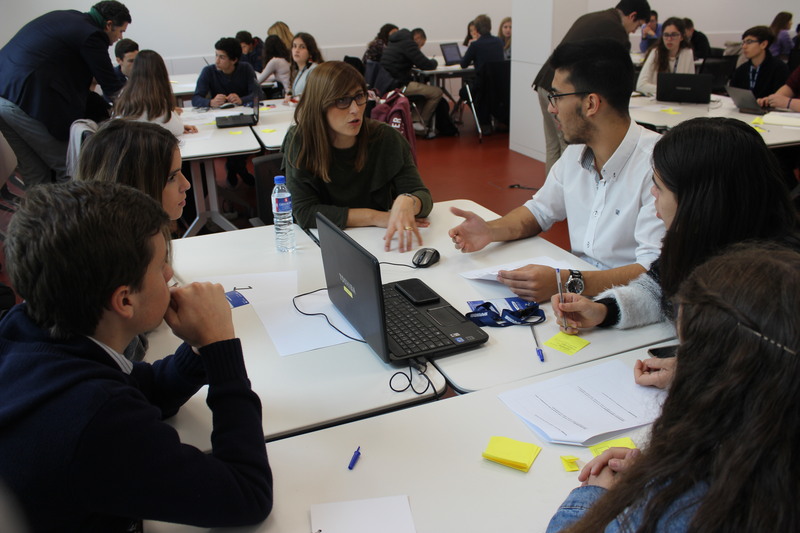 Seventy students attending a workshop in Porto last month agreed that the European dimension really mattered to them now and as they plan their futures. For their own education and employment prospects, for the protection of the environment and in so many other ways, they saw the European Union as support, stimulus, and guide for decisions taken at national level. They also welcomed the inclusiveness of the occasion. “I think that this event helps me to know what I can do with my ideas for the future of Europe,” said one of the students. The workshop was organised by ‘Why Europe Matters’, a campaign in which innovation workshops in nine Member States combine with a survey to explore the views of young Europeans about Europe and the EU. The thinking behind the campaign is to tease out students’ hopes and expectations for the future, show that youth has a distinctive voice and should play a key part in public debate, and in so doing help the students to acquire skills enhancing their employability . The Portuguese workshop was the fifth in the series. The survey, funded by the European Round Table of Industrialists and JA Europe, will be published in the first quarter of 2018. In the meantime students attending workshops debate the major themes raised by the survey and try to come up with concrete proposals for policy. The best policy ideas will be presented to Europe’s decision-takers at a conference in Brussels in March. In Porto the topics debated were drawn from four visions of Europe: safe and protected, prosperous and sustainable, social, and strong globally. Debate was guided by mentors from the retail company Sonae and SAP, the business applications corporation. A jury made up of representatives from the companies and Porto’s own business school selected winning proposals and four of the students will present them at the Brussels conference. Several of the policy outcomes of the workshop focused on familiar topics – topics that are no less important for being familiar; for example, the need to protect the environment, defend society against terrorists, encourage anti-racism, and so on. Concrete policy innovations were suggested. Other initiatives grappled innovatively with employment. Why not introduce a new curriculum in schools that helps students develop their soft skills? Should we not insist on schools giving ‘practical’ learning at least equal importance to ‘traditional’ education? Could companies be asked or even obliged to ensure that up to 15% of their workforce is made up of 18-25 year olds? If the ‘bridge’ between formal education and actual employment is weak, should we not think of an organisation run by business and schools together that assesses students’ actual capabilities, guides them towards the relevant local employment opportunity, and trains those still to acquire relevant skills? This last proposal was awarded second place by the jury. First place was won by an initiative linking local ‘clusters’ of universities and companies in less well developed areas that promote research to improve conditions in the locality. But not all the proposals were so hard-nosed. One addressed a highly topical issue – gender diversity in sport – and asked: could the introduction of quotas for football club coaches help to promote women in the world of sport? How might sporting brands be encouraged to use female role models in their advertising to secure positions for women in the management of sport? Clearly Porto’s workshop was educational, productive – and inspirational! Could more be asked of it?